I hope everyone is well today! Who kindly provided images for the DT to use. you can find her here. The base card is 8x8inches. I coloured the image with my usual mix of flemarkers & promarkers. The die I have used is from Xcut. I inked with some Tumbled Glass distress ink. a bargain bundle I got at Fantastic Ribbons a while back. but as I liked the speckles on the back, I used it that way! Thanks for popping in. I hope you can play in this month's challenge. Graph'It Colour Challenge - Anything goes with alcohol marker. Gorgeous card Dawn, love the gorgeous image and beautiful colours. what a lovely card Dawn. A lovely card Dawn. The image is so cute and coloured beautifully. Love the design too. This is a fabulous card Dawn, I love your image and lovely bold papers. Really cute image, beautifully coloured, great card. What a super fun image with that big, juicy watermelon! This is perfect for this week's Celebrate challenge at Cupcake Inspirations! Thanks so much for sharing! Hi Dawn, a fabulous card, i'm loving this image she is a real cutie. Fabulous card. Thank you for joining us at Card Mania Challenges. So cool and beautiful card. What an adorable image and so beautifully presented.Lovely layout and those bright papers compliment her well.Thanks for joining us at Craft Your Passion.Hope to see you again next week. 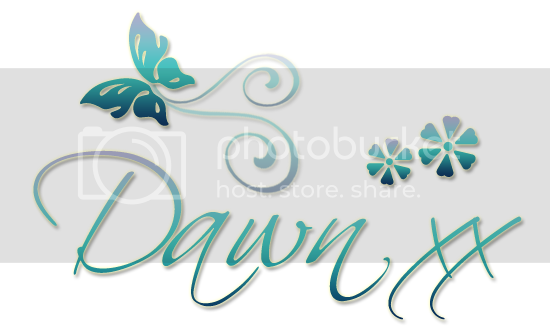 Hi Dawn........love your image and the ribbon you used (I've got some just the same hidden in my stash too). Had to smile at your comment about the button being back-to-front...sometimes it just looks better that way!! Thanks for joining our challenge at Opus Gluei this week. This is such a happy, fun card, I love it! Your image is beautifully colored and so adorable. She rests on a gorgeous mix of patterned papers and that keeps the playful mood going as well. Love the ribbon and button, hey, use the button however you want to! Thank you so much for coming over to Opus Gluei, taking on our theme and then running with it!